The dual cab body is from a 2004 Nissan Navara ST-R.
How and why did I dream up this combination? With wife and two kids, desire to travel remote (without trailer preferably), and be useful and comfortable enough for a daily driver, I needed a dual cab that could carry at least as much as a Patrol or Landcruiser trayback. The only choices available in Australia is the Land Rover 130 dual cab or the F250. Too crude and underpowered or too big and heavy! All the midsize dualcabs just can't carry much, generally are underpowered and thier offroad abilities are not fantastic. I guess I'm setting the bar pretty high, but that's me, no compromises and nothing by half. Well, if Nissan did a dual cab Patrol I probably would have been happy, although they really should have made a six cylinder version of the current 3 litre. 4.5 litre turbo six should be good for 160kW or so. Now Toyota has beaten them again, V8 too! So while laying down in the tent at the caravan park at Cania Gorge, Sept. last year, I'm staring out the mesh window at a D22 Navara next door. Hmmmmmmm. That's quite a nice simple, sturdy body, good dash layout. And importantly, straight up and down on the back of the cab with no wheelarch recess, just right for a trayback. The wife and I went to our local Nissan dealer and jumped in one. The only criticism I could come up with was that my right knee rested against the electric window switch pod on the drivers door. No biggy really. So that was the body chosen! This should be interesting. Look forward to seeing some photos of the chassis and body. isnt the wheel base and chassis a lot longer than the Navara body. My Ol-man has the F250 V8 Diesel, sitting next to my Hilux, it is a couple of feet longer than mine. 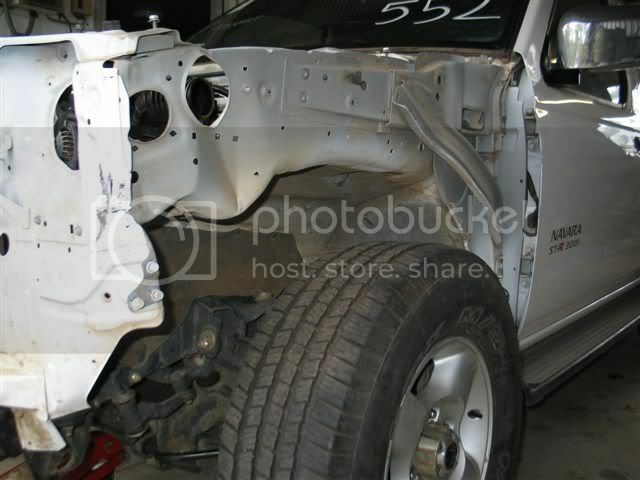 Are you gonna cut the chassis in half, or extend the body of the Navara. Good luck getting engineered, points for trying. 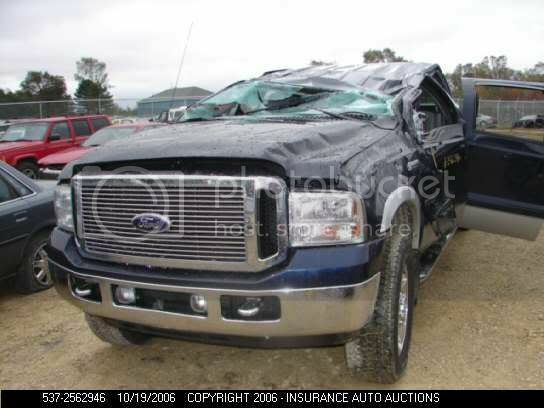 Personaly, I would just buy the F250 4 door, but that is me. Good luck with it all. Will be watching this build. So what makes a good engine? V8 turbo diesel of course! Whats the best one around at the moment? Some people may have a different opinion and that's fine by me. This is my choice, and I'll be up front and say I am a Ford fan. Since late 2003, Ford in the USA have been using the 6.0 in the F250, F350, F450, and F550 trucks. It's only just been replaced by a 6.4 twin turbo version. The 6.0 is good for 325hp (242kW) @3300rpm and 570lb/ft (788Nm) @2000rpm torque stock. This things got more torque at idle than most motors at peak! 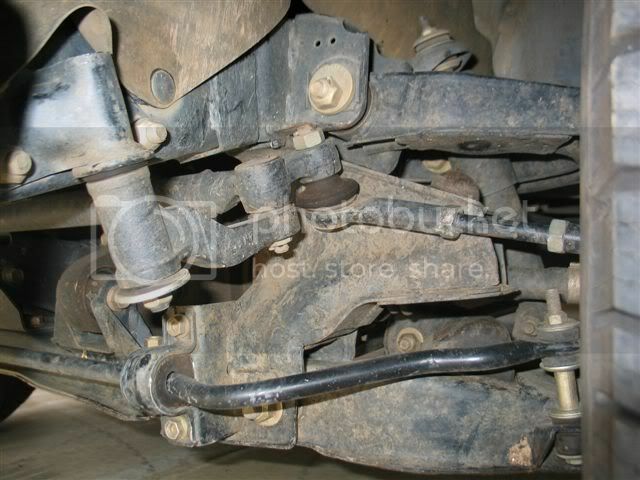 On top of that, there's ecu programmers that can change nearly everything about the way these motors and auto's behave. 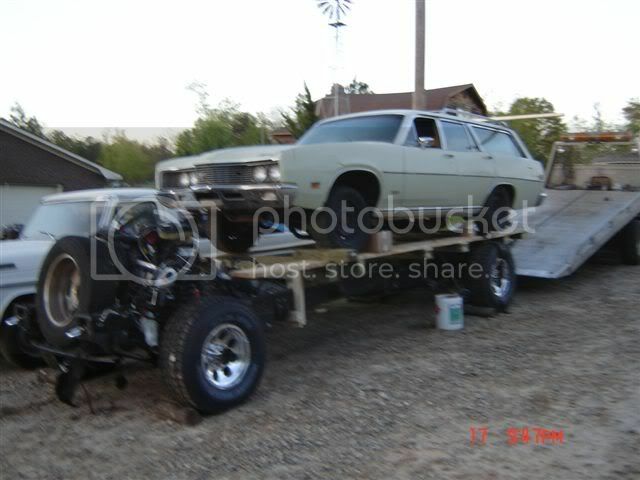 440hp and 800lb/ft can be got from a stock motor!!!!!!!!!!!!!!!! These are seriously stout! So now I'm on the hunt and shopping. 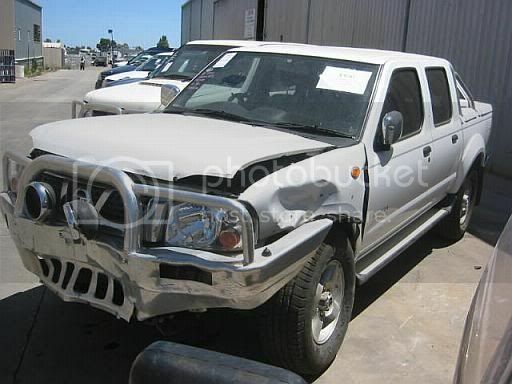 Looking for a damaged Navara here in Aust. and an F250 in the US. Took awhile, but this is what I got. These pics are from the insurance auctions. Are these the two you are buying. How are you gonna match the two. 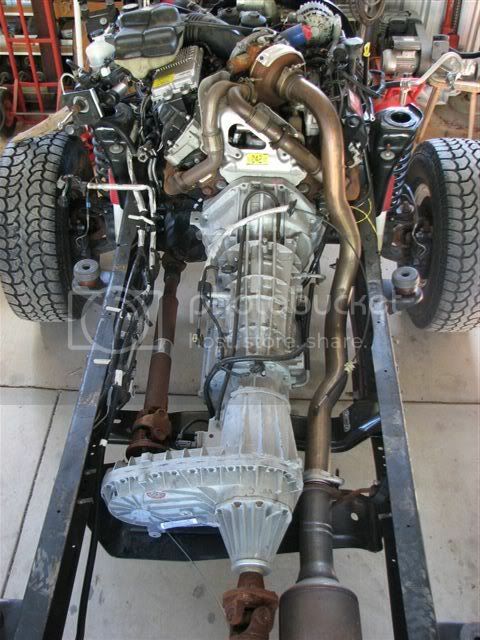 Will the V8 engine fit inside the navara engine bay???? 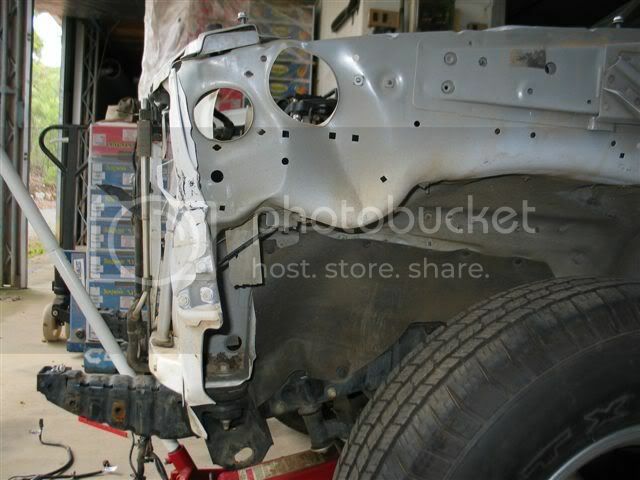 Are you going to extend the body or shorten the chassis???? Whats it gonna cost to send it over from the states. The Navara came from SA. Had, no, still has 54k km. Body looked like a likely candidate. I got it home a week before Christmas '06. Unfortunately, the body damage was also worse than I had hoped. The inner guard has crumpled a little, also moved the end of the bulkhead a bit. Not too worried because I'll be making all new inner guards anyway. But, how are you gonna fit it to the bigger chassis. Will the V8 fit. The F250 took me ages to nail. First I was just looking at getting the parts, but that risked missing too many little bits and pieces required. 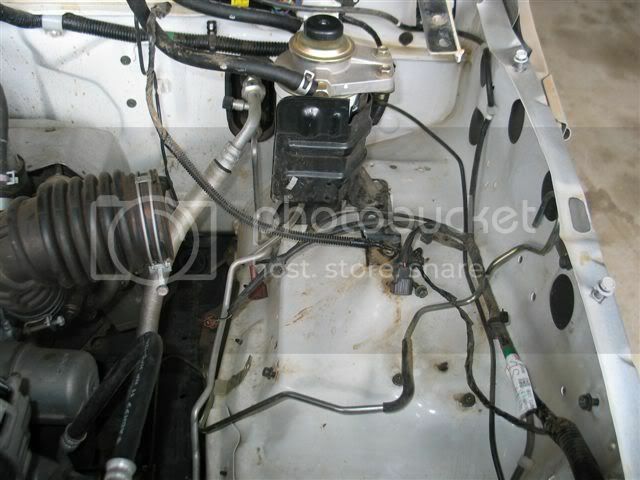 Wiring looms, throttle pedal, fuse panels (yes two), dash, various sensors, fuel pump etc. It was safer for me to get a whole vehicle that had been rolled or tail-ended, just to ensure I got all the parts needed. In the meantime I found a guy on the Gold Coast that regularly imports stuff from the US. He has been great, done all the physical work in the US and dealt with customs and so on here. Just the guy I needed. Thanks Matt. The first one seemed to have a number of vehicles come up, but the bidding process is really a tendering scheme and not transparent enough. I really can't recommend them. IAAI is just like Pickles or ManheimFowles here and I actually got to place a bid over the 'net, pretty cool. Which I couldn't do until I was sure about transport and so on. This was where Matt was essential. Once I secured the F250, I shopped around and got several of the more expensive accessories from the US too. Wheels, tyres, air-lockers, hydraulic winch, adjustable shocks, heap of service filters and special atf fluid, airbags, air tank. Get this, the ARB air-lockers are made here in Aust. yet I can buy them from the US and ship them here cheaper than you can buy them locally???? Most of it was about 2/3 price even after paying shipping, gst and customs. What is with our retailers???????? So I got all this stuff sent to Matt's mate's place, where he works from in the US. Here he stripped the F250 down to just what I needed. This allowed him to get another vehicle in the container. Thanks Tom. I'll try and keep you all well informed. And I'm sure you'll find it interesting. Will the engine fit? I did go to Qld F series spares in Clontarf to see what they had. They actually had a 6.0 on the shelf, but it was from a manual and it didn't have everything needed to make it run. They reckon you could use an aftermarket ecu to control the injector driver that is with it. The 6.0 has a lot in common with late model petrol motors in terms of engine management. But I think you would be doing very well to make this happen, nevermind expensive having to buy a $1000+ ecu too. I asked if they would source another for me, but they were trying to sell the business and wouldn't. But I measured it up while I was there. Yes it will just fit...... But there would not be room for anything else, no radiators or intercooler. I was planning on putting them and the air filter on the roof. And that exhaust downpipe needs some room at the back. I'll rejig part of the firewall where the clutch master cylinder was to make some room. With 35" tyres I was going to have to move the front axle forward any way. Plus making all new inner guards. So there really wasn't that much extra work. 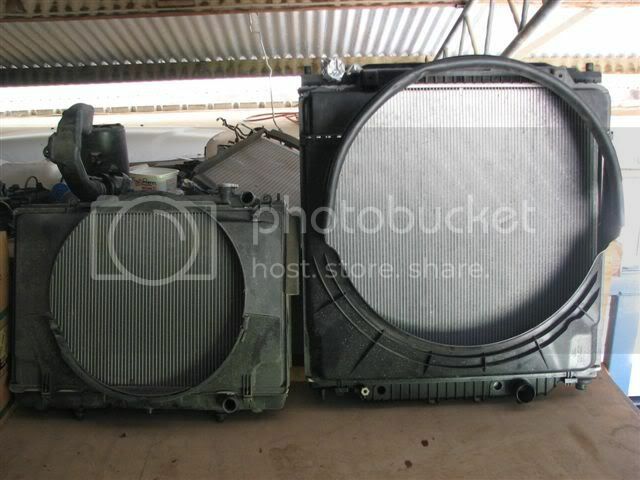 That radiator is 770mm wide and 870mm tall!! Somehow I don't think I'll get it in. Custom made radiator it will have to be. Does the US F250 have a coil front end, my dad has a leaf front end. Are there many differences with the US trucks to the AUS trucks???? Yeah, I've put plenty of thought into it. Spent lot's of time on the net researching everything (and shopping around for good prices), just ask the missus ...... I've got a pretty good idea of how it's all going to go together. I've been tackling this project on several fronts, dealing with everything required. I've met up with an engineer in Maroochydore to discuss which was the best way to approach the project as far as Qld Transport will be concerned. We decided upon applying as an ICV (Individually Constructed Vehicle). It allowed much more latitude with what could be done. Required for everything I wanted to do. There is more paperwork involved and I have to provide detailed drawings etc. More work for me, but also ensures I refine details, so I'll be better off in the long run. This has been difficult without having the F250 to actually measure up. So all new chassis, custom trayback body, custom airbag suspension (with 15" of travel:D), custom steering, and my own special design for "roll-control" (more on this later;)) As you can imagine, I'm better off starting with a clean slate rather than trying to adapt an existing chassis. I'm also not modifying any of the Navara body shell (passenger compartment at least) other than the bit of firewall, pedal box, steering column, instruments and new console for the auto shifter I sourced from an AU Falcon. All the safety related ADR items remain, which will make compliance easier. Last edited by DJR96 on June 1st, 2013, 5:49 pm, edited 1 time in total.